Just 25 minutes from Perth, lies the picturesque landscape that is Western Australia’s oldest wine region, the Swan Valley. What you may not know, is that not only does the Swan Valley have some of the best wines in the world, there are many things to see and do there too. Today, we list the top 5 things for you to do in the Swan Valley. From breakfast to dinner, the Swan Valley has plenty of options for wining and dining. Enjoy breakfast among the vines, at eclectic Grounds Cafe at Oakover Grounds. Open on weekends for brekky, this is your perfect start to a day in the Swan Valley. There are many beautiful restaurants open for dinner in the Swan Valley too, from Sandalford Winery, Mandoon Estate, or the Guildford Hotel, just to name a few. Looking for a new way to enjoy a fun day out with the family? 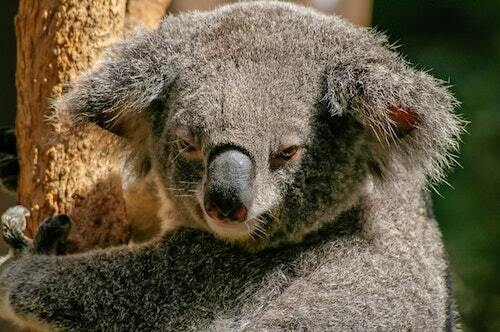 Caversham Wildlife Park is the answer. Situated in the stunning Whiteman Park, Caversham wildlife park houses one of the largest collections of native fauna in Western Australia and is the perfect place to enjoy the great outdoors and a range of fun activities. With sheep sheering demonstrations, whip cracking, bottle feeding lambs, milking cows, camel rides and much more, there is something for everyone. Prefer to take it easy? Enjoy a relaxing picnic on the lawn and simply take it all in instead. Love chocolate as much as we do? 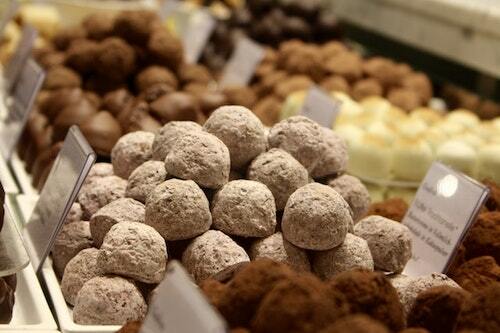 Then be sure to stop at the Margaret River Chocolate Company or Whistler’s Chocolate Company for some sweet indulgence. From complimentary chocolate tastings, handmade fresh fudge, ice cream, hampers, merchandise, and even chocolate body products, your chocolate cravings are sure to be satisfied. Want to drink wine, relax and unwind? With a Swan Valley wine tour, you can relax and unwind from the moment you step onto the luxury bus. Our Top Gun wine tours of the Swan Valley will take you through two prestigious wineries, lunch at Mandoon Estate, two more remarkable wineries, followed by a decadent favourite – the chocolate stop. Rest assured, the samples will be amazing, the food delicious and the scenery unforgettable. Established on what is virtually an island encircled by the Swan and Helena Rivers, Guildford is ideally suited to exploring on foot. Discover the numerous historical buildings, lively characters and wonderful stories of this ‘island village’, with four self-guided heritage walk trails with 50 interpretive panels along the way. The trails start and finish at the Old Guildford Courthouse (Swan Valley Visitor Centre). Visit the website to find out more. There are so many things to do in the Swan Valley – Those were just some of our favourites. Head to the Swan Valley for your next day out, we promise you won’t regret it. Think drinking wine, whilst you relax and unwind sounds most like you? Book your Swan Valley Wine Tour today! 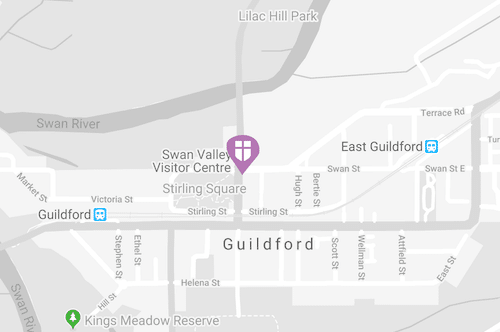 Posted in Things To Do and tagged Chocolate, Guildford Heritage Walk Trails, Swan Valley, Things to do, Wildlife, Wine and Dine on 23rd November 2018.